Recently, we made a rather unexpected trip to New York while we were there we finally the opportunity to visit AnimeCastle‘s physical store location. I am still mourning the loss of Animadness, which had been my somewhat local source of anime figures so I was pretty excited to visit a shop that specialized in anime again. I was fairly impressed with Animecastle’s store, they had a fair selection of figures unfortunately not many nendoroids which tend to be my favorites these days. I ended up buying various merchandise from Puella Magi Madoka Magica plus the first two volumes of it’s manga. 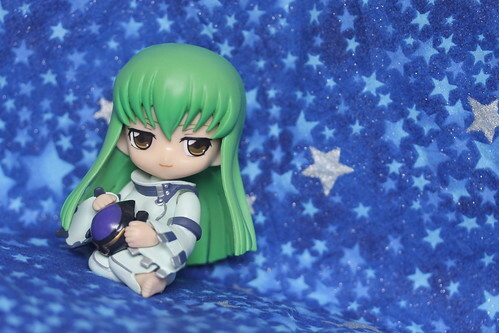 I also bought the special edition of the “Ground Control to Electric Girl” (Denpa Onna to Seishun Otoko) tv series as well as this cute CC figure from Code Geass. 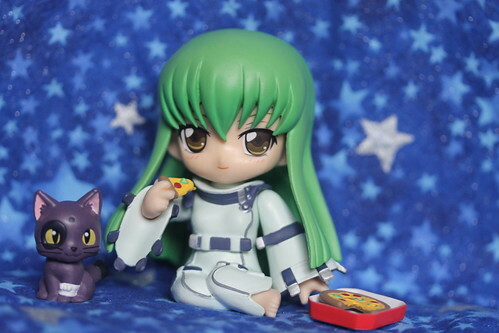 I rather liked the Code Geass series, I was rather disappointed there were not more figures particularly of CC from it. 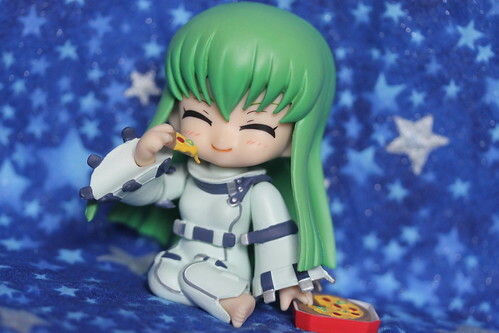 This is my first Chibi Arts figure, I couldn’t resist her when I saw her even though she doesn’t even come with standing legs. 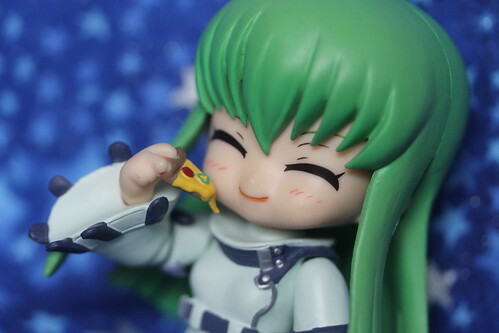 I don’t like the Chibi Arts as much as nendoroids but I am still quite pleased with this figure. I love the variety of expressions on the faces that CC comes with. 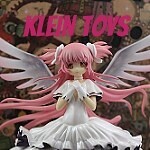 This entry was posted in anime figure, move and tagged animecastle, cc, chibi arts, code geass. Bookmark the permalink.